← Lammershoek, Lam, White, Paardeberg, WO Swartland, South Africa, 2012, 10.5% abv. Here is a drink you don’t see every day. In fact, in our market on Canada’s west coast, there is only one cachaça available – and it’s not this one. What exactly is cachaça? Is it rum? Well, not exactly, although it is very similar and is imported into the US and sold there as rum. Technically rum is usually made from molasses, but cachaça is produced from fermented and distilled sugarcane juice. It’s got a long and chequered history in Brazil (since 1532 when sugar cane arrived from Madeira via Portuguese settlers) and billions of litres are distilled each year with only very small amounts being exported – most of which goes to Germany. 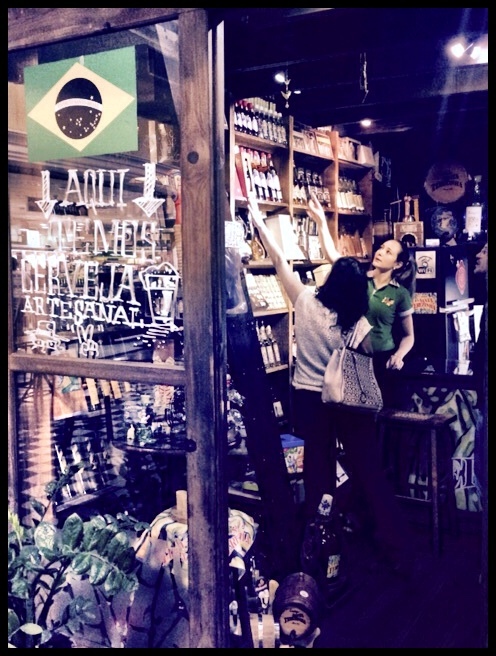 It is literally enjoyed everywhere in Brazil – and is either unaged and water white, or envelhecida (aged) as is this version is in carvalho (oak). The Reserva do Gerente is clear, pale gold and has very tiny legs. The intense aromas show saline and a vegetal cane with light caramel. The alcohol is warming and flavours include toffee, dark coffee and more vine. The finish is medium on this top 3 Brazilian seller. Think a mezcal-tequila hybrid crossed with a cane-heavy sipping rum. WSET Good Plus and it makes great caipirinhas to boot. 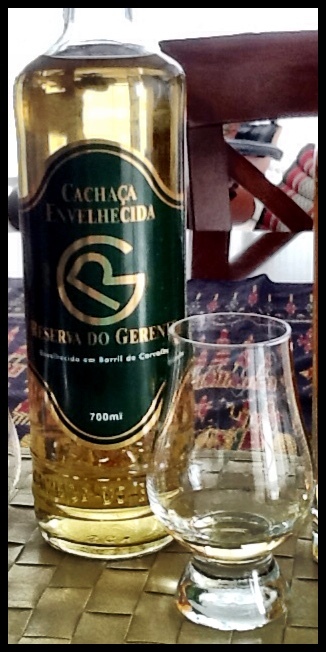 This entry was posted in Brazil, Cachaça, OTHER, SPIRITS and tagged Brazil, Cachaça Envelhecida, Reserva do Gerente. Bookmark the permalink. I’ve never sipped the aged stuff, but I love a good Caipirinha! Had my first one when I lived in Chile years ago. Makes me nostalgic for those days.